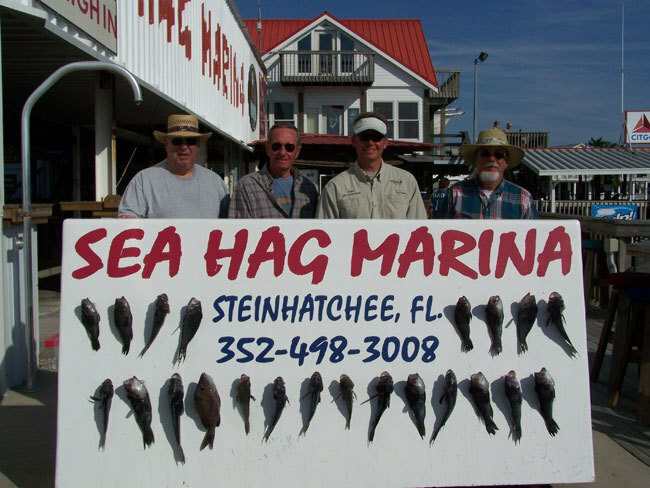 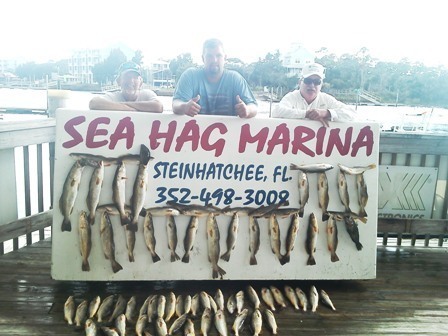 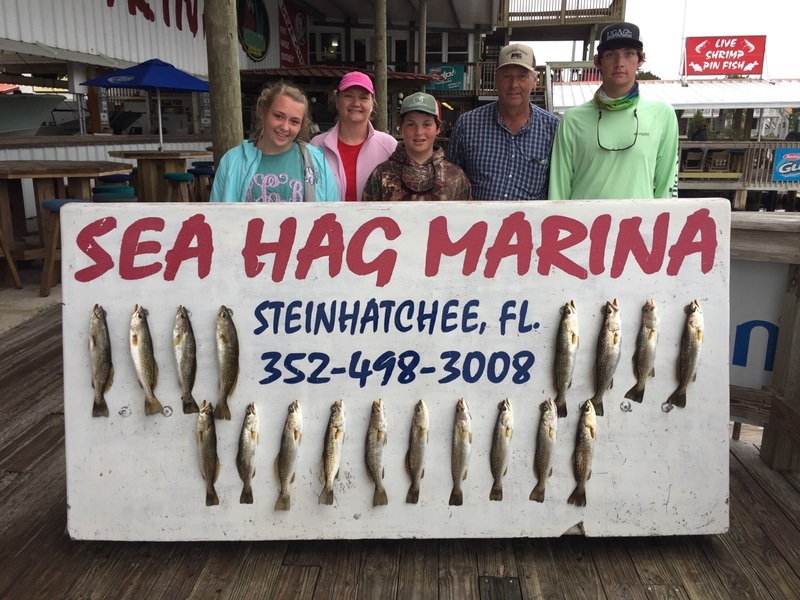 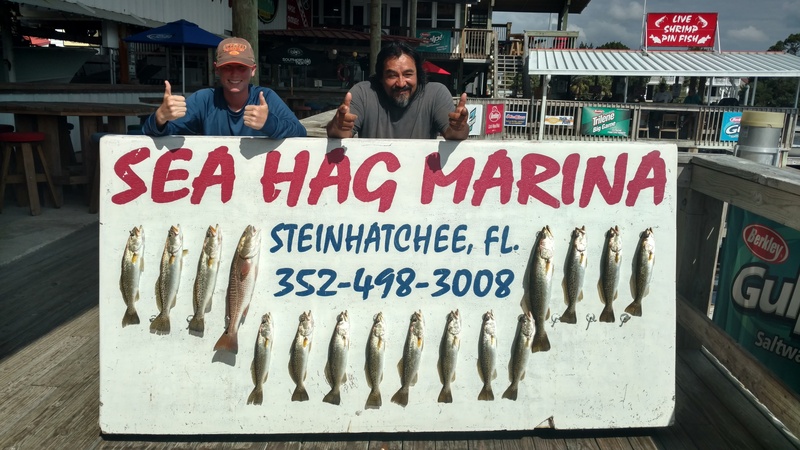 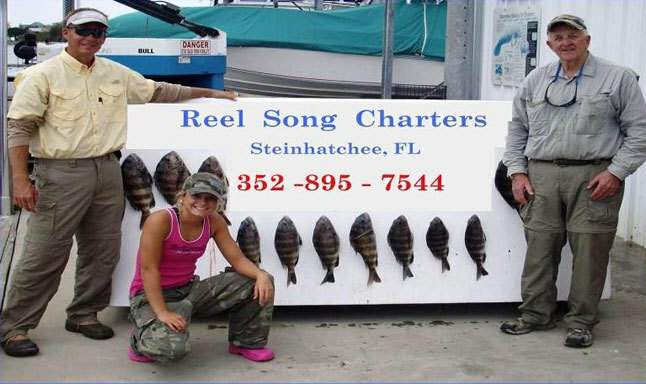 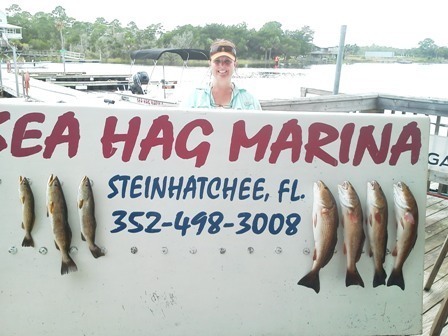 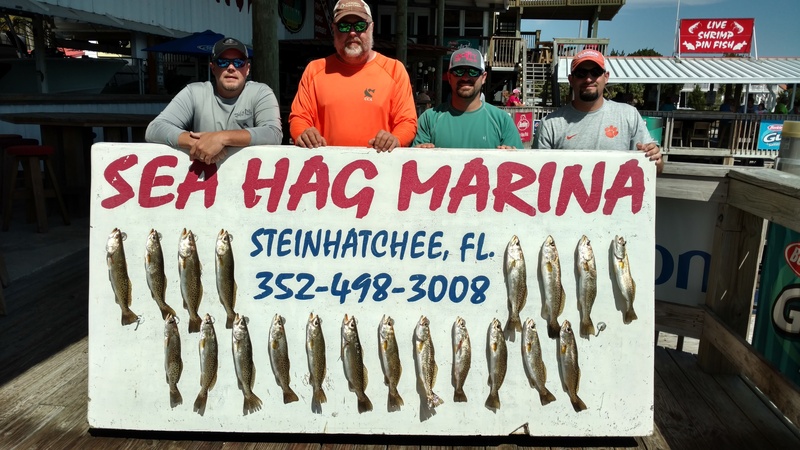 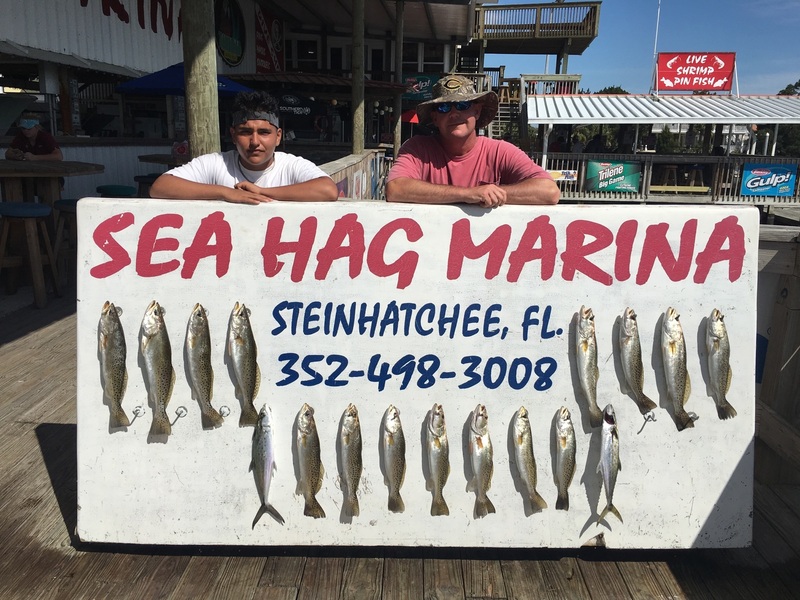 A day of flats fishing in steinatchee florida with Captain Mike Dutttenhaver of Reel Song Fishing Charters results in 3 happy clients call Captain Mike today 352-895-7544 to book your next fishing charter. 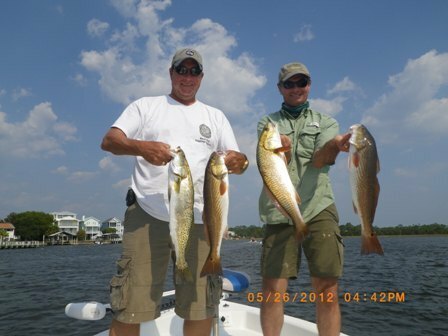 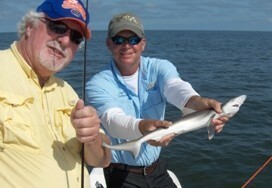 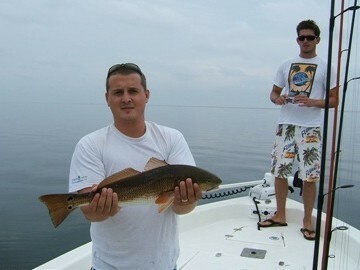 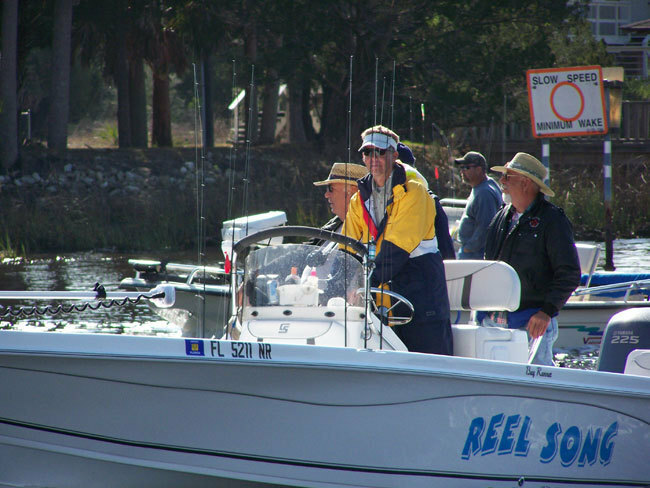 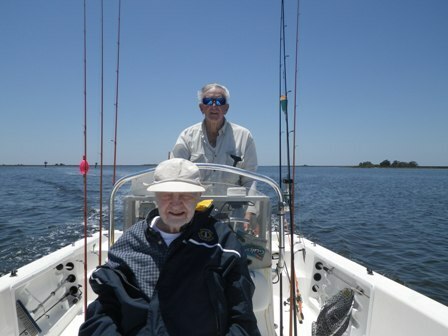 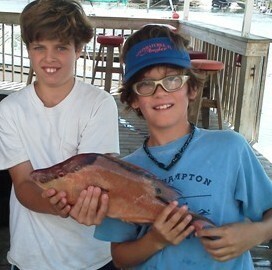 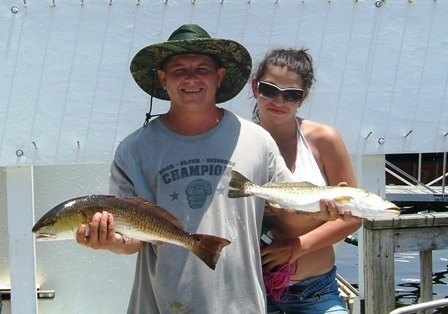 two smiling clients of Reel Song Fishing Charters enjoy a day fishing the steinhatchee flats with Captain Mike Duttenhaver giving their two thumbs up approval on their catch. 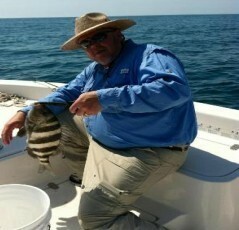 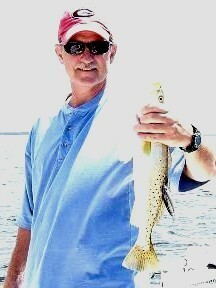 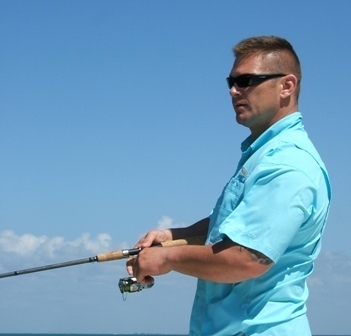 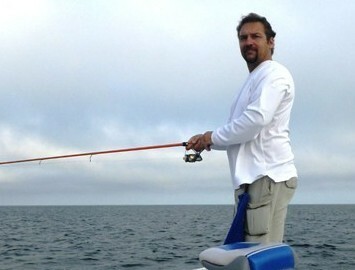 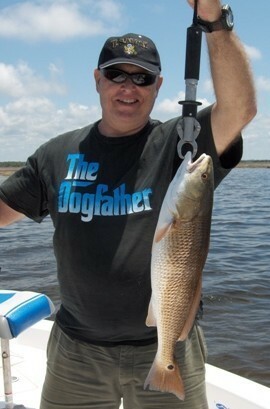 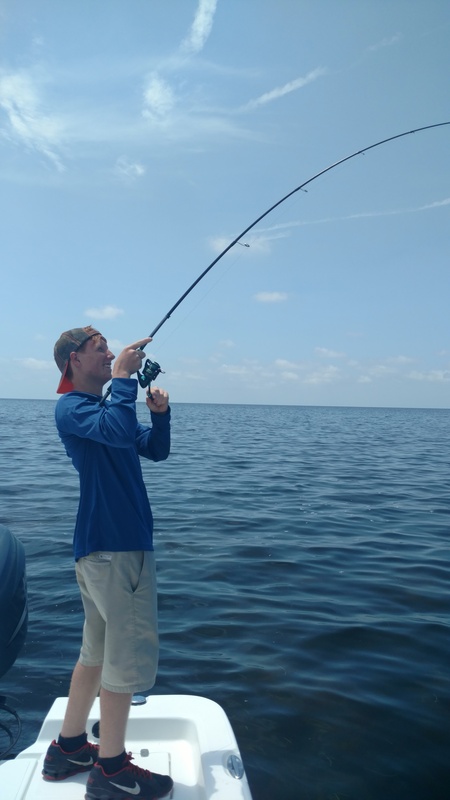 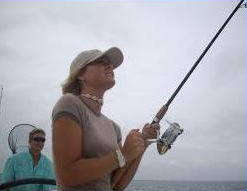 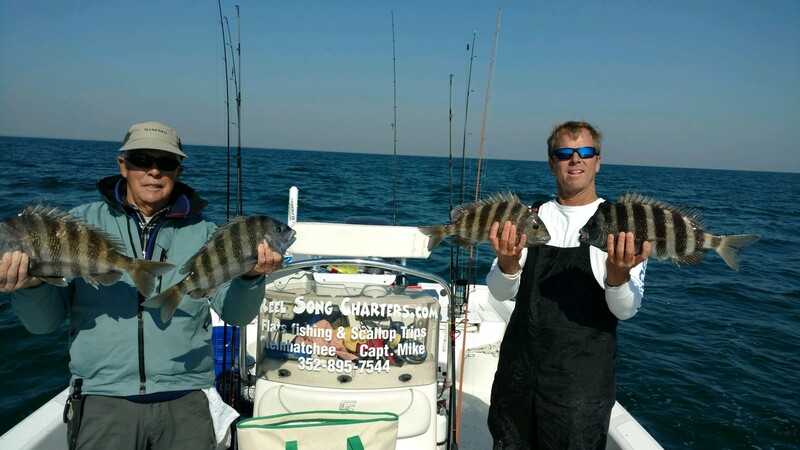 Come upon the Reel Song Ride with Captain Mike Duttenhaver of Reel Song Fishing Charters and enjoy a full day of flats fishing and you may get results like the picture above.